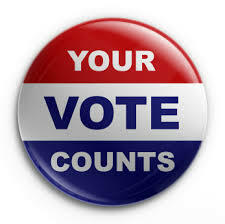 Don’t forget to vote in the upcoming primaries on May 19th. Highland Park residents will be voting in the Democratic primary for one of two candidates for Pittsburgh District 7 City Council. You can find information on each candidate below along with a website for more information. The Highland Park Community Council is a non-partisan organization, and the information provided below is intended to educate residents about candidates. It should not be interpreted as support for either candidate. The candidates have been listed in alphabetical order by last name and were asked to provide a 250 word statement, which have been copied below. During my first 17 months in office, I have worked to put our community first through green infrastructure improvements and community-led economic development. I am proud of the successes that we have achieved together. •	We passed a childcare legislation package to improve the quality and quantity of our city’s childcare facilities by identifying business needs and opportunities, making City services more responsive, and creating a $250,000 revolving loan fund. •	We have worked to create livable streets and funded festivals that celebrate our past and future. •	We held over 30 community meetings in advance of Land Bank legislation that will return vacant properties to the community, reducing blight, and recently, I provided seed funding to find creative affordable housing solutions. •	I connected you–the community–with developers so that you were consulted in step one of new developments in our neighborhoods. •	Together, we have worked to beautify your neighborhood and created a healthy environment. Not only have we moved the Heth’s Run Ecological Restoration Project out of the waiting stage, but I am working together with other members of council to make sure that new infrastructure projects always include green and sustainable elements. If elected I will continue to support your efforts and endeavor to represent you faithfully for the next four years. Together, we can continue to build a progressive Pittsburgh, one that is sustainable, inclusive, and a model of grassroots growth. As representative for District 7 I will strive to make our neighborhoods healthier and more sustainable and to keep them affordable. I will fight to make sure we invest in green infrastructure that brings benefits back to our communities, to democratize our streets and require developers to provide environmental impact studies. I will work every day to create healthy communities by strengthening community institutions like neighborhood schools, by creating and supporting initiatives that ensure all our residents have access to healthy, affordable, fresh food, and by establishing safe communities – at home, in the streets and in institutions – for people of all ages, races, genders, classes, abilities and immigrant status, where opportunities are not limited to those who can afford to be safe, well, and healthy. And I will fight to make sure that we have a robust, diverse population that can afford to live, work and play here, tackling affordability on all fronts by creating and maintaining affordable housing, attracting good, family sustaining jobs, and fighting for higher minimum wage, pay equity, and strong social supports like paid leave. I’ve spent more than a decade working to improve the lives of women, preserve the environment, and make our region better for everyone. As the founder and executive director of the nonprofit New Voices Pittsburgh I have the experience necessary to make it happen. As a longtime advocate and activist for social justice, I have the passion and the fire necessary to be an independent champion for the district. ← Save the Date: Fulton Tour Wednesday May 27th at 9:00am for Prospective Parents. Community meetings are held on the third Thursday of each Month at St. Andrew’s Church. Meetings are not held in July or December.